Telecom UFB advertised as asymmetrical...? Forums › Spark New Zealand › Telecom UFB advertised as asymmetrical...? All tongue-in-cheek guesses are welcomed, too. And we are selling the services that the crown fibre holdings (CFH) local fibre companies (LFCs) such as Chorus, Enable, UFF or NorthPower provide. If you needed a symmetrical uncontested port to your home that can be provided but expect a 4 ot 5 figure digit type bill for getting the business grade service. There is a very rational reason - pretty much every new FTTH deployment around the world is GPON. If you want a symmetrical service P2P offerings are available as part of the CFH pricebook and are identical to those of HSHS now, starting at (from memory) $385 per month excl CIR for a 100Mbps service. sbiddle: If you want a symmetrical service P2P offerings are available as part of the CFH pricebook and are identical to those of HSHS now, starting at (from memory) $385 per month excl CIR for a 100Mbps service. Wow, that pricing has improved by an order of magnitude; I was quoted $4399/month for 100 Mb/s a few years ago! It is.. but it's also wholesale price so not taking into account installation and the handover ongoing costs, backhaul and international capacity. Then paying wages and trying to make a profit. Interesting. 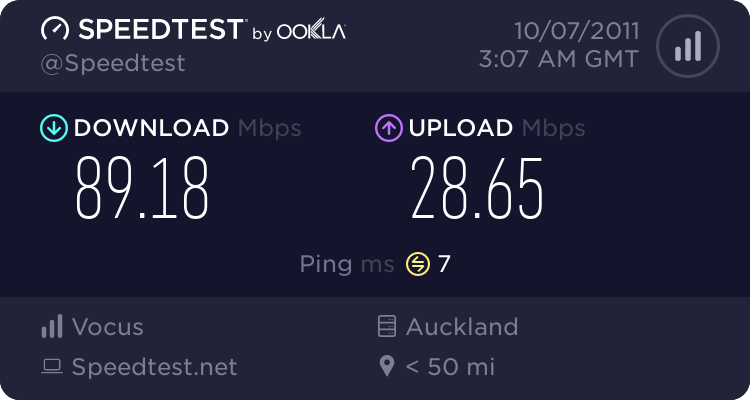 I just put in a Vodafone UFB circuit (CBD) and the best I could get was 100/50 500G for $299. I would pay $100 more for 100/100 but it doesn't seem available. Might have to talk to my account manager. Oh and that's over wireless to my 10 year old laptop of course! $395 is the ratecard (wholesale) price for the product and excludes any CIR which is added in 10Mbps increments. The key difference between GPON and P2P is that with P2P you have dedicated bandwidth and pay for a CIR GPON is shared infrastructure, the only speed guarantee is the CIR high priority queue component of 2.5Mbps on that 100Mbps UFB connection. Retail is going to be significantly higher than this as you've got to factor in backhaul as well which is also a CIR product. If you want P2P at present you're more than likely to end up on the existing P2P network rather than UFB.